Hello my lovelies! I'm back from my trip but not for long, because I'm gonna be away again next week. In the meantime I have a couple of manicures to show you. One of them is the next Monday Blues and the other one is a beautiful Picture Polish that was kindly lent to me by a friend. I've known Traci from The TraceFace Philes for a long time and I enjoy her Instagram profile because it always has dog pictures. She created this polish to remember Jasmine, her sweet Rhodesian Ridgeback who passed away a few years ago. I think she totally did her justice because this polish is gorgeous! 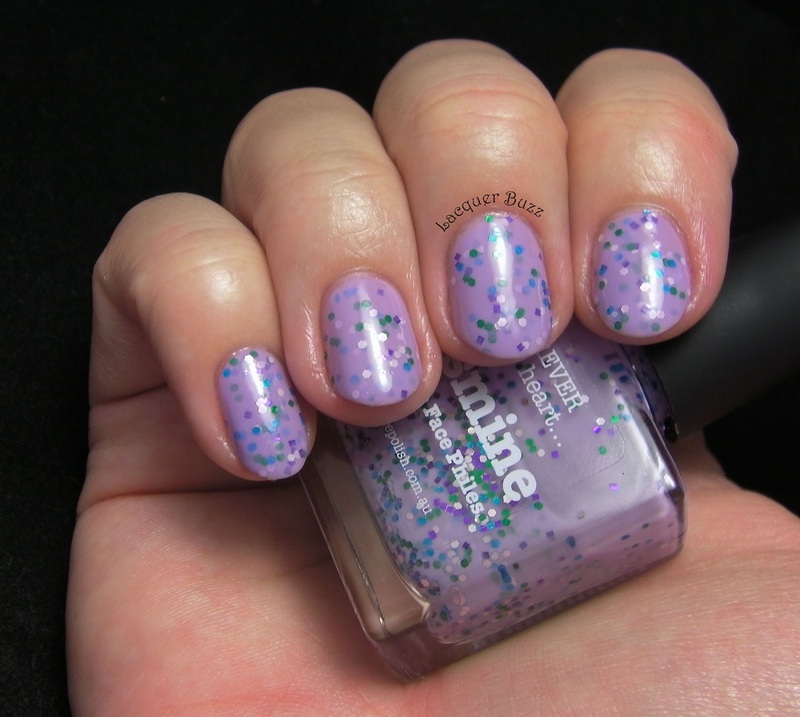 Jasmine consists of a lavender crelly base that is filled with silver, purple, green and blue glitter. The glitter pieces are all the same size but there is a small surprise: the purple glitter is square instead of hexagonal. I'm a big fan of square glitter so I think it is a nice addition to this polish. The small glitter and the soft shade makes this an elegant and pretty option that can even be work appropriate. The formula of this polish is very nice like with most of the Picture Polishes. 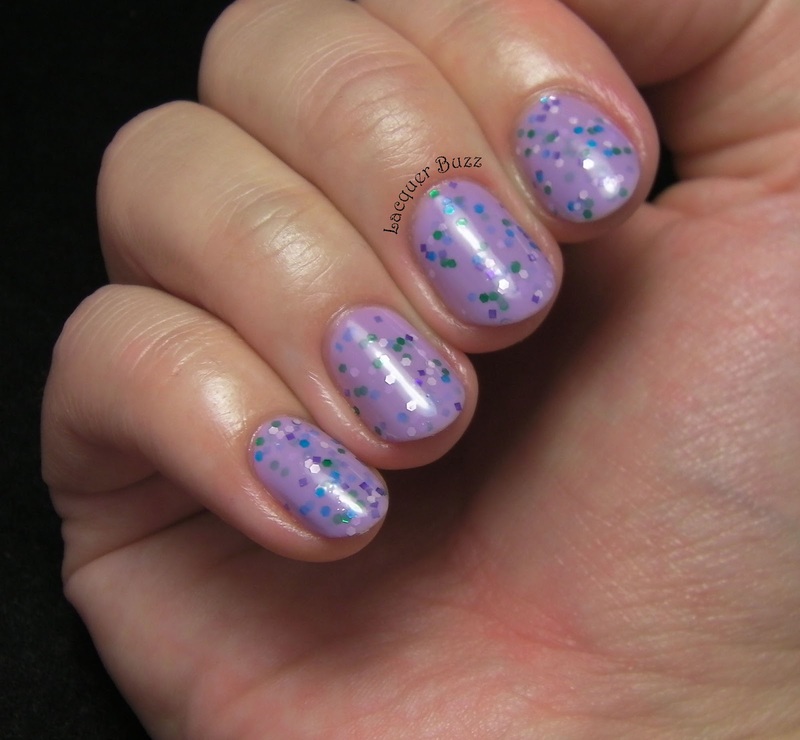 The base is sheer enough to let the glitter shine through but pigmented enough to make this opaque in two medium coats. If you do your coats very thin you might need a third one. It dries pretty shiny but I added a top coat to make it extra glossy. One coat is enough to even out the glitter and make it smooth. I'm really glad I got to try this polish out. Unfortunately it has been discontinued so you should hurry if you wanna get it. I think it's still available on some websites but not for long. I hope you enjoyed this post and wish you all an amazing weekend!